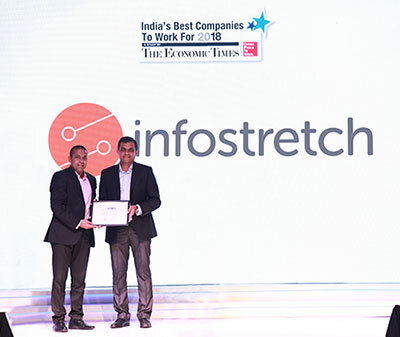 Today, enterprise digital solutions provider Infostretch announced that the company has been recognized as one of the 100 best workplaces in India for 2018. This is based on the largest workplace recognition study in India, undertaken by the Great Place to Work® Institute. Infostretch confirmed its place in the top 100 from over 600 companies that applied. The award is based on anonymous feedback from employees, as well as a study of the people practices within organizations. This marks the fifth commendation related to the company’s positive workplace environment since the beginning of 2017. Infostretch was highlighted as one of the best 50 workplaces in IT and IT-BPM in 2017 by the Great Place to Work® Institute. 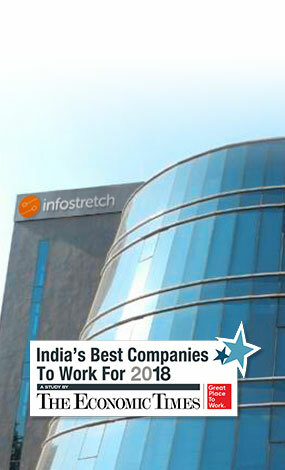 Infostretch was also certified as a Great Place to Work in India in 2017 and was certified as a Great Place to Work in both India and the United States in 2018. Headquartered in Santa Clara, California, Infostretch has operations in North America, Europe and India, with a team of over 1,000 employees. Infostretch has over 500 employees across its three development centers in India: Ahmedabad, Pune and Bengaluru. Over the next two years, the company will more than double its headcount in India. Infostretch leverages a combination of technology, processes and expertise to help enterprises accelerate their digital transformation with less risk and greater success. It is part of a new generation of digital-first professional services firms built for technical execution at speed – across development, testing and integration.